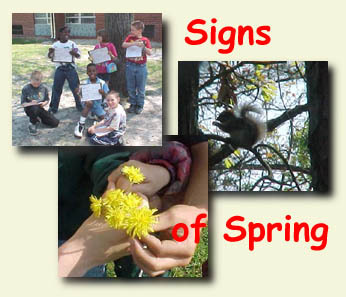 Delmar students joined their friends in Japan as both groups looked for signs of spring at school. To see the discussion, browse the Kidlink Building Bridges WWWBoard. A few sample messages are found below. A lady bug landed on Ryan's finger.